No one likes thinking about potential disasters and emergencies, but those who have put thought and planning into emergency preparedness benefit when the worst happens. Whether you reside in tornado alley or along a hurricane rife coastline, chances are you have experienced some sort of natural disaster in your life. And most of have witnessed or experienced an auto accident or other emergency. In these situations, it’s important to act quickly and to be prepared with at least a few basics. But is there a plan in place if you’re in an accident and taken to the hospital? Or you’re not at home when a tornado hits? You may have a plan for your family, but most of us are unprepared when it comes to providing pet care and safety in the face of a disaster or emergency. To begin, it’s important to have two of the basics of emergency preparedness checked off of your list. These are your pet first-aid kit and your emergency plan. A pet first-aid kit can be purchased or you can make your own by following AVMA guidelines for what to include. You can also sign up for pet first-aid classes, which can be done online or locally (in some cities). The next thing to address is your pet emergency plan. This plan will include contact information for your veterinarian, friends and family members who can house your pet (if you are hospitalized or displaced), local pet-friendly hotels, and reputable kennels. You may also want to keep a pet emergency kit, which includes copies of your pet’s medical records, leash, collar, ID tags, medications, and a supply of daily care needs, such as food. Should a natural disaster strike, it’s important to have a plan for evacuation. Floods, fires, and other disasters often require families to leave their homes temporarily. To ensure your pet’s care and safety, have the following emergency preparations together in the event of an evacuation. Do everything possible to stay with your pet, knowing that most shelters do not allow pets (e.g. stay in a pet-friendly hotel or with family or friends). Keep a list of all emergency animal rescue contacts, such as the Humane Society or SPCA. If you have to evacuate without your pet, make sure your pet has enough food and water to last at least a week, and leave him or her in the safest, most secure part of the home along with a letter containing your contact information. Follow up by contacting local authorities and rescue groups to alert them to your pet’s whereabouts. Since effectively dealing with an emergency requires quick thinking and access to information, your phone can become a great resource. 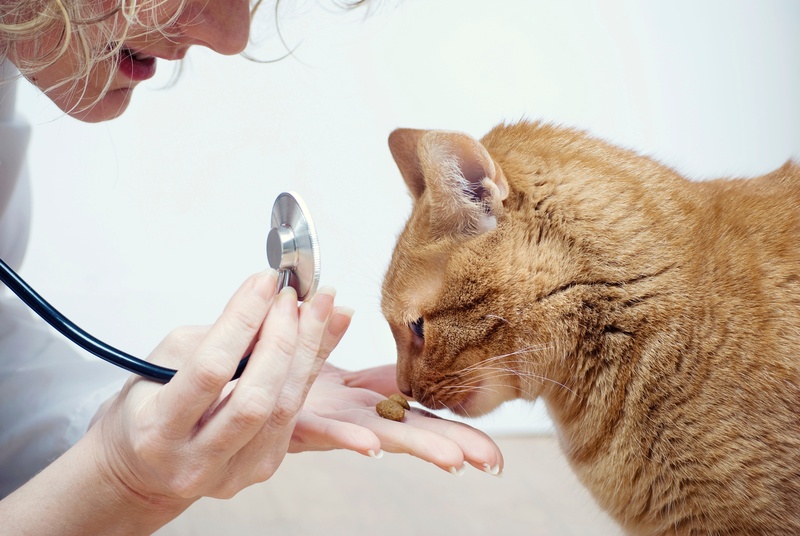 This in mind, VitusVet offers a free downloadable app for pet owners which allows quick access to medical records, medication reminders, and a database of emergency veterinary clinics. You can also share this information (and more!) with friends, family, groomers, kennels, and veterinarians. This easy to use, yet highly effective app can be an essential resource in an emergency or when you are on the road. Give it a try! Emergency preparedness is just as important in protecting our pets as it is keeping ourselves safe. Plan ahead and empower yourself with the knowledge and tools you need to navigate any emergency situation.